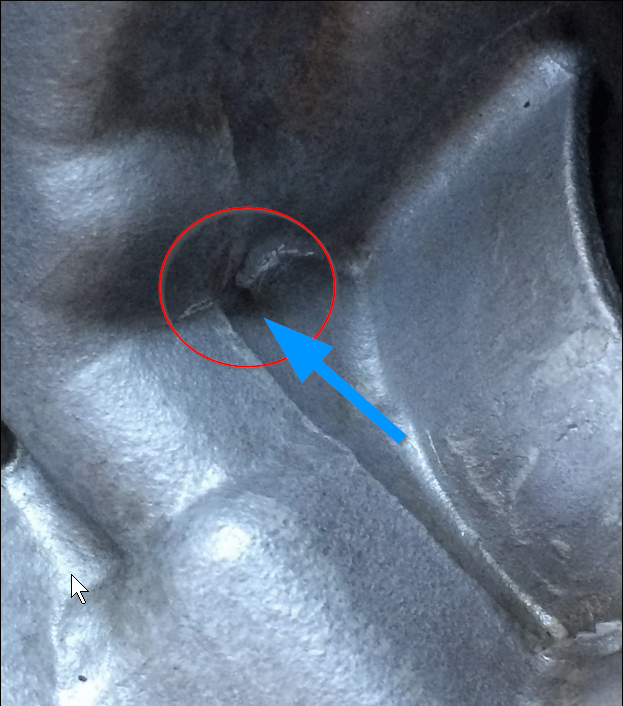 My 1990 CBR 1000F just started leaking oil from a pinhole in the Cyl Head Casting Near #4 Cyl Exhaust Port below the Camshaft carrier area. Going to try a simple JB Bond Weld patch fix. Has any one else run into this issue? Does that hole go through to the spark plug tube? No. 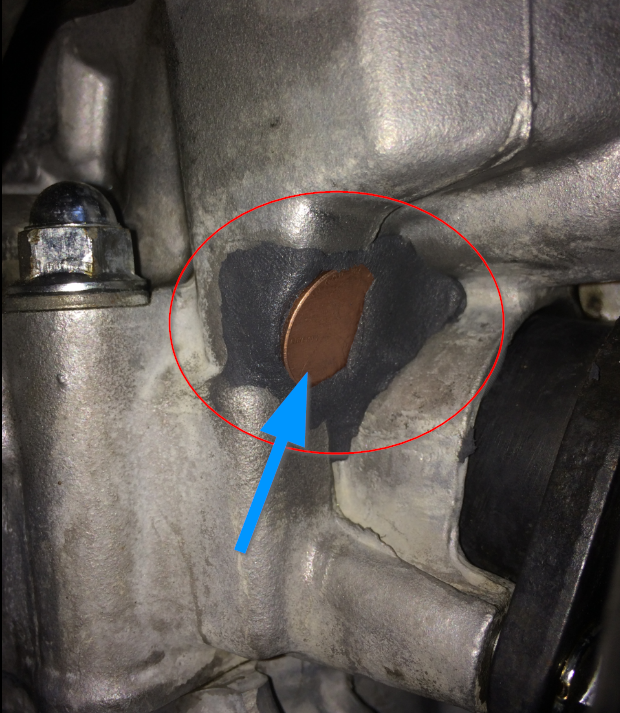 It's a pinhole in the casting in the corner of where the cam holder area meets the vertical portion of the head near the exhaust port on #4 cylinder. Well, bought a can of non-chlorinated Brake Cleaner, Wire Brushes & JB Bond Putty. I already owned the Penny. I cleaned the area with the brake cleaner. Used the wire brush to rough up the surfaces (that included the Penny). I kneaded the putty till it was a consistent color and pressed into the leak area. I used the penny to press the putty firmly into the pinhole area. Is it pretty? Heck no! The whole engine was not made to be pretty to save costs, that's why they have the fairing covering the bulk of the motor. But the area is covered by the fairing. So, who cares. Will it work? Probably. But for how long? I may have to find a shop to tack a weld on it one day as a permanent fix. The cost was a mere $20.00. So, it's worth a shot! Right? Strange it should start leaking now. JB weld is great stuff. I bet you are done with the leak, no need welding. As a matter of fact, the heat from welding could make it worst.